Utah restaurateur says he would put the new veggie burgers on the menu if the company had enough in stock. 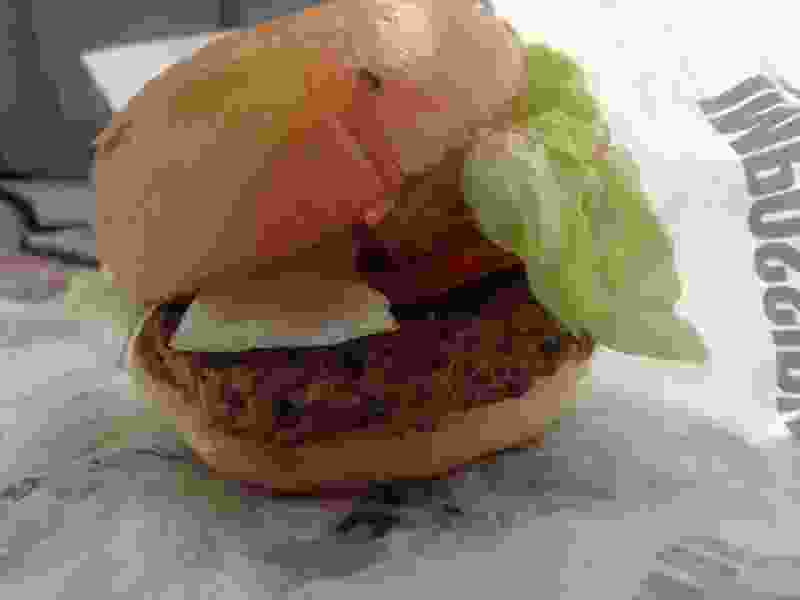 (Sean P. Means | The Salt Lake Tribune) An Impossible Burger slider, one of many being served as free samples from a food truck in Park City to people attending the 2018 Sundance Film Festival. Now, a new brand of vegetarian hamburger is going after the taste buds of Sundance Film Festival attendees by giving them something a billboard can’t: free samples. Impossible Foods, which makes the new burger, set up a food truck at the Lyft Driver Hub, on Kearns Boulevard near Bonanza Drive in Park City. They started serving free sliders — with lettuce, tomato and special sauce — over the weekend, and will be back Friday and Saturday, Jan. 26 and 27, from noon to midnight. 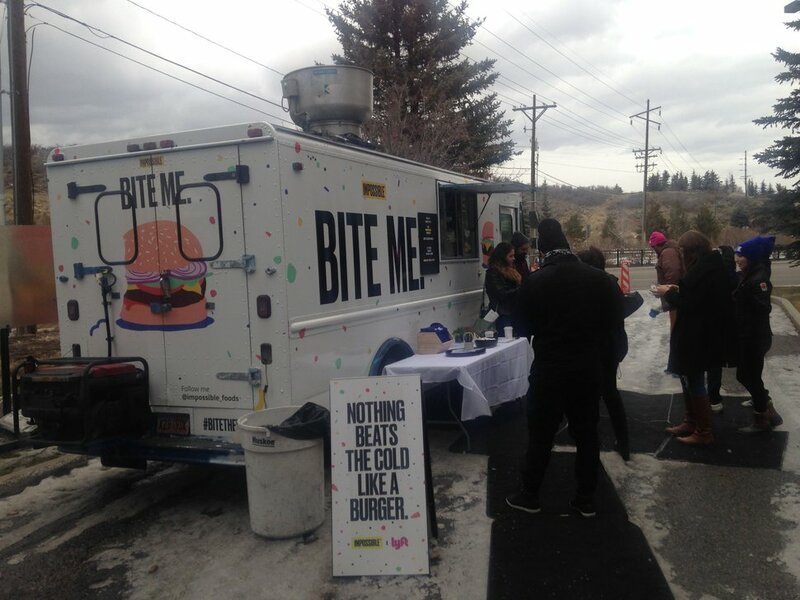 (Sean P. Means | The Salt Lake Tribune) A food truck serves free samples of the vegan Impossible Burger in Park City to people attending the 2018 Sundance Film Festival. The company boasts that its burgers are being served in 400 restaurants around the United States. The billboards — like the one prominently displayed at State Street and 600 South in Salt Lake City — directs customers to a website that urges them to ask their favorite restaurants to put it on their menus. At the moment, there’s thought to be only one Utah restaurant serving the Impossible Burger — Peekaboo Canyon Wood Fired Kitchen in Kanab. Dave Morris, who owns Piper Down in Salt Lake City and the Ice Haus in Murray, would like to serve it, and has told his suppliers to get him the Impossible Burger as soon as they can. Morris currently serves the Beyond Burger brand of veggie burger at his restaurants. That brand, which can be found at some supermarkets, simulates the “bleed” of beef by using beet juice. The Impossible Burger boasts a plant-based version of heme, a compound derived from hemoglobin, to give it a beeflike taste. Ice Haus has Vegan Friday events and Saturday steak nights, and Morris said the vegan products outsell the steaks. “I’m actually the vegan junk-food king of Utah,” he declared with a laugh.